Whoa Nelly! That might hurt! Well, i made another picture and i really like this one. Whoa Nellie! That might hurt! whoa nellie! that might hurt? it is so interesting to me what you see in them. when you say what you see.. i get a nice little "oh yeah"
Several years ago I did a series of 99 drawings that I called Middle of the Night Art. That series, and the dialoge between my sister and myself brought me to a place where I finally began to really understand my art, my spirituality, and a sense of who I am in the world. I'm sharing the art and that dialogue here. My sister's responses, as well as my own, are posted as comments. And I'd love to hear what anyone else has to say. Do we really have to come out of here? 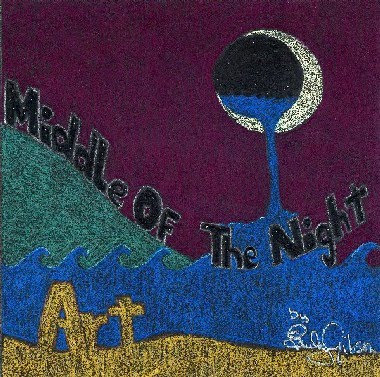 This blog copyright © 2009 Middle Of The Night Art. All Rights Reserved.